On our Orange Park disability attorney website, we explain that the first step in qualifying for Social Security disability is the “substantial gainful activity” (SGA) standard. To earn benefits, an applicant must show that he or she cannot engage in SGAs. The definition is broad. Gainful activity is the type of work that someone does for direct pay or as a means for profit. For most of us, earning a paycheck means gainful activity. If you are self-employed, or working for relatives, the agency will study your work history and activities carefully. Even if your business is not profitable, it may be an SGA because you are, or were, working in an effort to profit. An SGA means you are performing physical or mental work activities. If you are working for relatives but can choose when and when not to work, that suggests that you can indeed perform SGAs and are not disabled. However, if you cannot do ordinary, simple work tasks without needing more help or supervision than most, that may be a signal that you are not able to perform SGAs. Another sign of an inability to perform an SGA is lack of usefulness to an employer and inability to do minimal duties for a company or your own business effort. Legality of Work Your Orange Park disability attorney often surprises clients by telling them that illegal work activity can be defined as an SGA. For purposes of determining disability, work is reviewed without regard to whether it is legal activity. You will want to be well-versed in regulations covering income calculations for SGA. The agency uses rules about the type of work, time worked, and what earnings put someone over the top so they cannot qualify for disability. 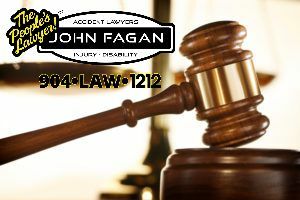 It is also important to know which deductions are allowed for impairment-related work expenses. These include your costs for medications and treatment of a disability and may also include special services such as transportation. You will want to consult a legal expert because some expenses are not allowed, such as health insurance payments. For complete information and expert representation for your application, contact a Orange Park disability attorney at First Coast Disability Lawyers at 904-215-5555 today. The first consultation is always free.